She didn’t want to need him. Murder brought self-help guru Rachel de Luca and Detective Mason Brown together. Their shared secrets drove them apart. 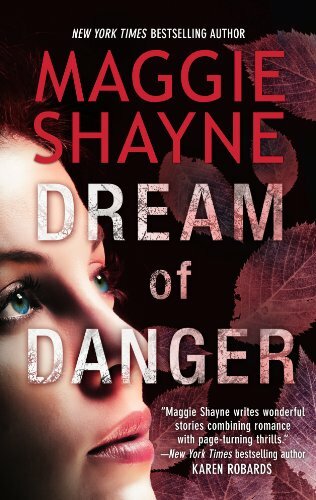 But now they’re together again in this riveting novella that begins where New York Times bestselling author Maggie Shayne’s Sleep with the Lights On ended. She may have been blind for twenty years, but Rachel’s always had an uncanny gift for seeing through peopleand she distrusts her assistant’s new boyfriend at first sight. Amy isn’t interested in Rachel’s misgivings, though. She’s too eager to celebrate Thanksgiving by introducing her family to the new man in her life. Desperate to find her missing friend, Rachel has no choice but to turn to Mason. Their investigation into Amy’s disappearance takes them ever deeper into dangerand reignites the attraction that they’ve both sworn to resist. Now it’s a race against time as these reluctant partners fight to stave off passion and save a life.